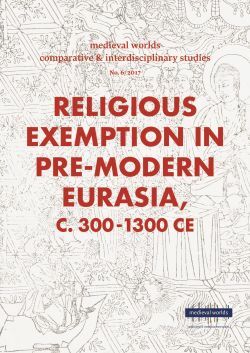 The exemption of people and institutions recognised as religious from public obligations, including taxation and military and labour services, appears to have been universal in the complex societies of Eurasia at least from the end of antiquity until the end of the ancien régime – that is, in some cases, until the present. However, the systematisation between the tenth and thirteenth centuries CE of the nature and uses of such exemption was everywhere central to the great transformation of that epoch, essential to the emergence or construction of the ancien régime in Europe as in South India, China and Japan. Religious exemption was sometimes promoted and sometimes attacked by rulers, but it is best understood neither as supporting nor as undermining ›the state‹, but as providing a long-term balancing mechanism between centralising powers and local elites; the waqf may be seen as performing a similar function in Islamic societies.